Custom built cars tend to be awesome or horrible, not much middle ground. And when we say custom, we aren't talking about kit-cars; we are talking about honest real built-from-scratch madness. Potentially cool in form and function, customs will always be unreliable and unsafe, but only because a production car has had millions of dollars and tens of thousands of engineering man hours behind its parts and assemblies. 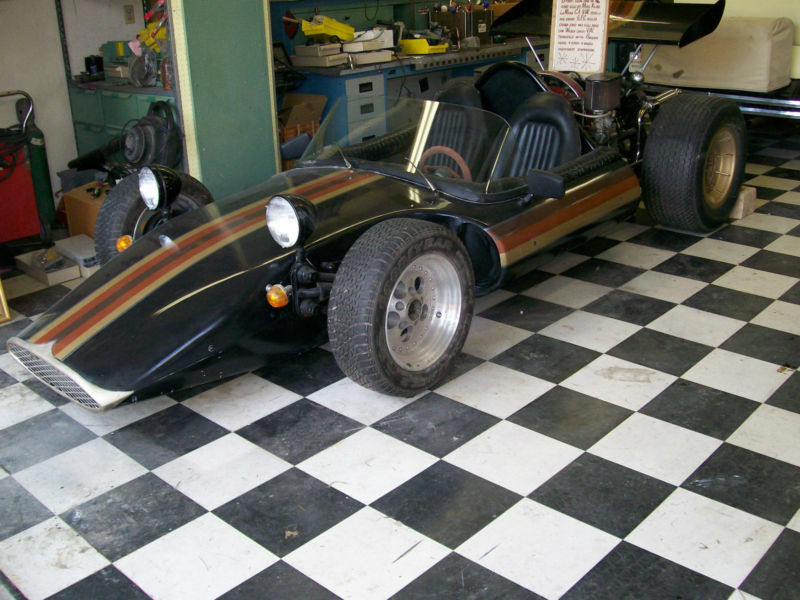 This 1966 Formula Vee look-a-like with VW powerplant is for sale in Alpine, CA for $4,950 starting bid or $5,250 buy-it-now, via ebay. This custom was last driven in the early 1990s according to the seller, but it is not clear how much work will be needed to get it back into driver condition. 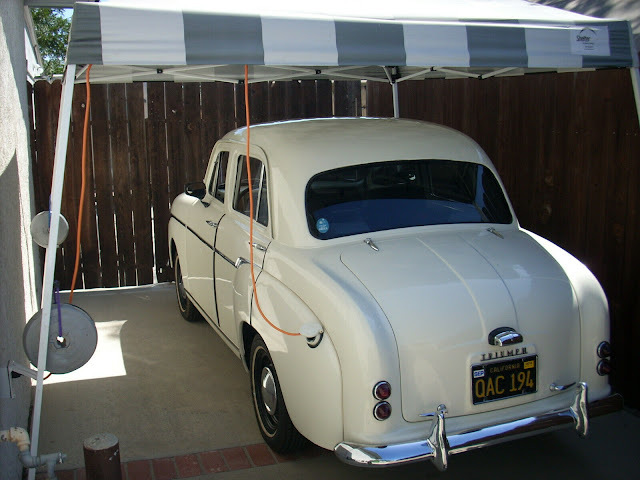 It carries a Specialty Construction title and a Department Registry File vin number of DRF103409 - so someone with more understanding of the California DMV DRF procedure could figure out what year it was originally issued a title. 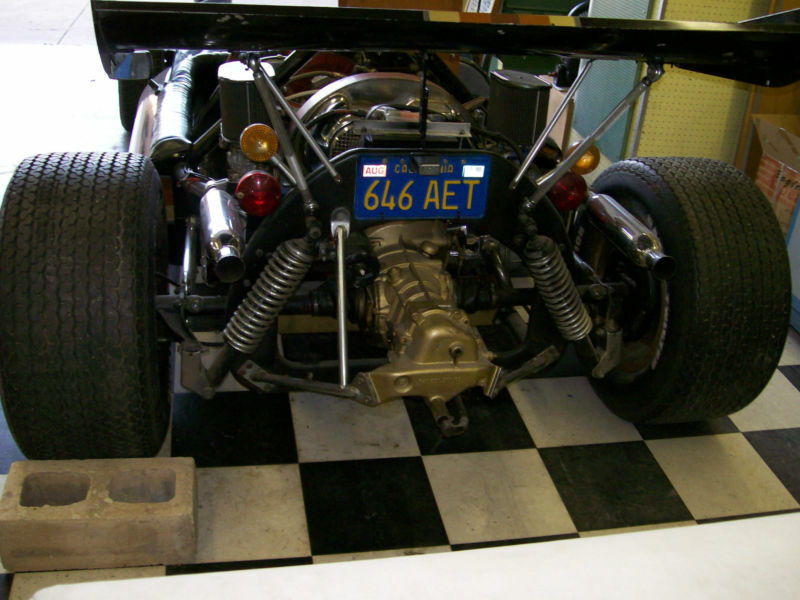 Most VW based kit/customs are rear engine, but this one is setup like a Porsche 914 - with the engine in the middle. The license plate was issued in 1975 or 76, so it is safe to assume that some part of this vehicle was created in the mid 1970s. 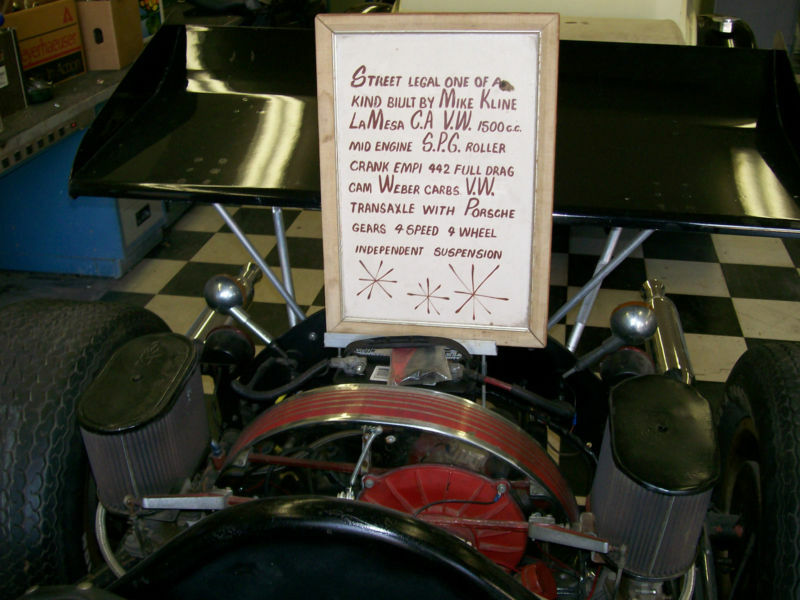 A hand-drawn sign attached to the car describes it as being built by a Mike Kline is La Mesa CA and looks to be a few years old. This car is an oddity but certainly peaks piques our interest at its $5k asking price. A quick peek at the above link has piqued our interest in Nelson Piquet's crash at the peak of his career. Piquet's car hit a patch of Peak Antifreeze (TM) while racing up Pikes Peak. Oh wow, I love this one. During the years that I was a mechanic for Formula Fords, I often toyed with the idea of widening a chassis, and making a street-legal thing like this. I can't imagine being able to have more fun for $5K, even if you only used it to drive to track days and auto-crosses. You would save $5K just by not needing a tow car and trailer. The drive home from California to Ontario Canada might be the deal breaker for me however. I saw a bunch of these at the Portland INternational Raceway last summer. There is a whole class of vintage racers powered with VW engines...and look just like this. The guy I talked to said they are an absolute kick to race!! Looks like fund! Please if anyone knows the whereabouts of it now, I am interested in the car.